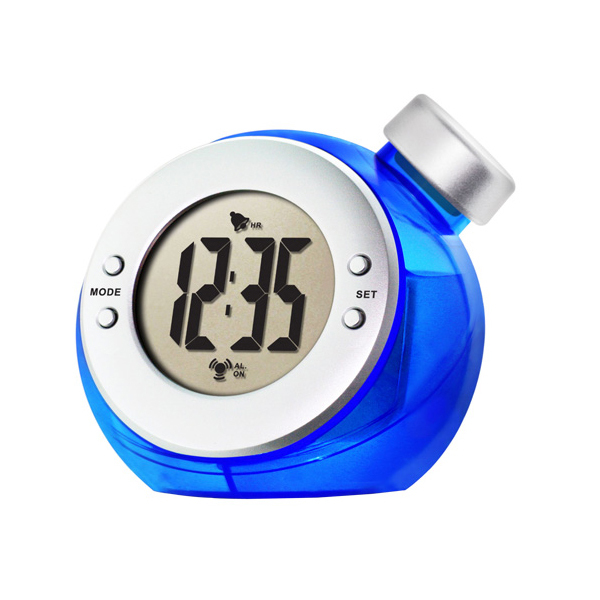 This Water Powered Alarm Clock is a standard desk clocks with one cool distinction: they run solely on water. No batteries are required! Add water to the reservoir and the clock is immediately ready to be set. The large and vibrant LCD screen is easy to read from afar. Built-in memory chip remembers time so you don't have to reset. 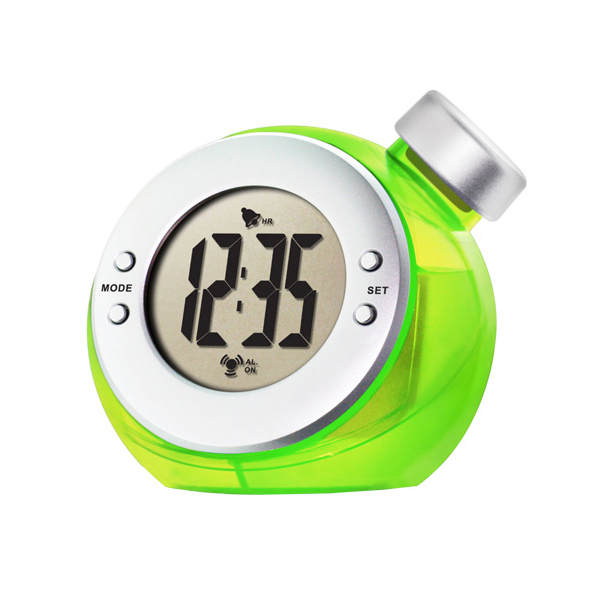 Each clock includes detailed and easy-to-follow instructions. You'll be up and running in a matter of minutes. Material： Carbon, Acrylonitrile Butadiene Styrene (ABS) (recyclable and has the number "9" as its resin identification code)?